Ever since the advent of portable computing, many thieves and con artists have targeted laptops (and now netbooks). Given how expensive some of these machines can be and how high their demand is in the black market, it is no wonder that they are very popular as loot for these delinquents. However, these people are opportunists, and if they see that a laptop is somewhat protected they are easily deterred. This is where the security slot comes in. 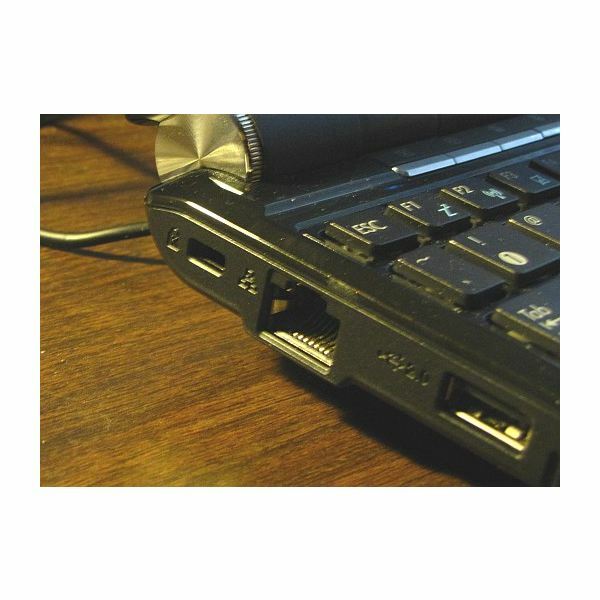 Every laptop/netbook/tablet has a certain unusual slot that is designed to be used as a security measure against theft. Nevertheless, most people are unaware of this intriguing feature and never get around to using it. This slot, which is usually known as Kensington Slot, K-lock or Universal Security Lock, allows the use of certain hardware accessories, which can attach your laptop to an immovable object, making it quite a challenge for the potential thieves to steal it. One of the reasons why many people don’t make use of this slot is that they don’t know where it is. 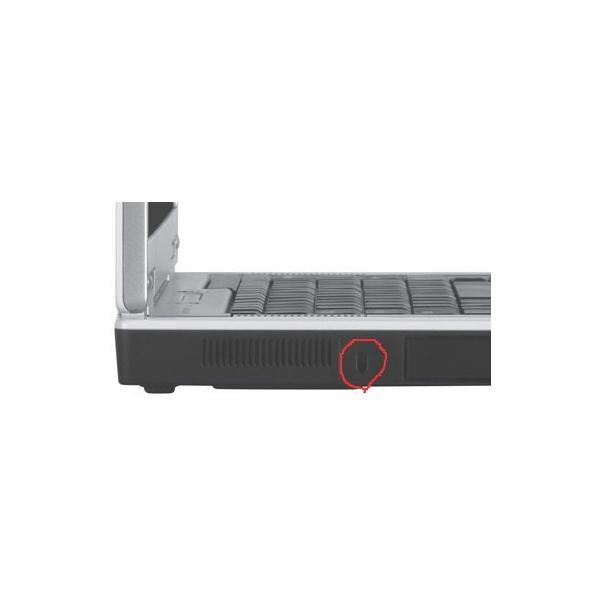 In most cases this slot is on the back or on the side of the laptop’s casing, is about half the size of a USB port and often has a “lock" symbol next to it. In the images below you can see a couple of examples that can help you identify it on your machine. You can make use of your laptop’s security slot by attaching a specialized cable to it. This cable can be in turn attached to a wall, a column, a table, or any other heavy object. To secure or detach the wire to the security slot a key- or pin-activated lock is applied (see diagram below). It is important to take care that the cable you use with the security lock does not block any vents nearby, as this may cause problems to your laptop. If you use a key-activated lock, you will need to turn it 90 degrees counter-clockwise in order to secure it. In addition, be sure to store the key to a safe place afterwards. 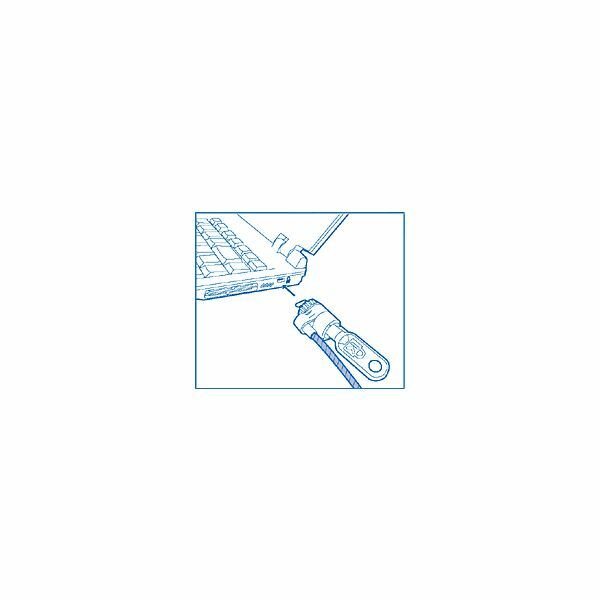 Nowadays, there is a large variety of security cables that you can use with your laptop’s security slot. Remember though that regardless of the cable you use, it is not 100% safe so try not to leave your laptop unattended for a long time. Your laptop’s security slot can be a very handy security measure that can protect your computer by deterring potential thieves. You can locate it easily on the side or rear part of your laptop’s casing. There are plenty of specialized cables you can use with it, which can protect your property by security your laptop to a sturdy object near it. Keep in mind that none of these cables is perfect so it is best that you don’t leave your laptop out of your sight for too long.